This book is a “follow-up” after it’s very successful predecessor - Business Model Generation. Using the same concept of a 1-page canvas that helps to describe a business, this book tries to describe your career instead. Perhaps because I am not looking to reinvent my career. 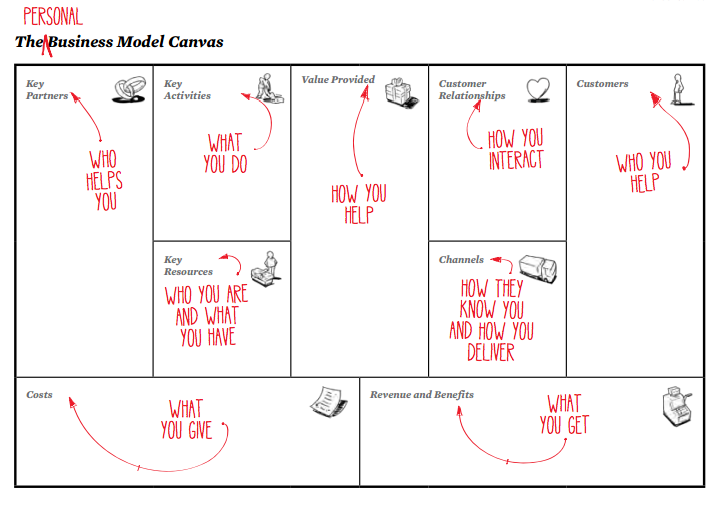 Perhaps it tried too hard to re-use the same canvas concept which originally was for business model. And when the 1-page canvas does not suffice, the authors introduced many disparate tools trying to achieve its goals. Finally, accept our apologies for what in retrospect may seem like a misleading subtitle. 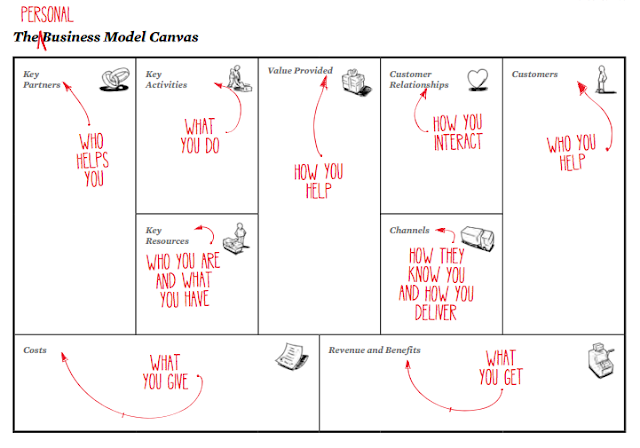 If you’ve gone through even a portion of the exercises presented in Business Model You, you’ve used dozens of sheets of paper applying our “one-page method.” But wouldn’t you agree the results have been outstanding? No matter what, I still like the style. No other books has so much pictures, illustrations, fun colors, creative layouts, little text. It is always fun to read a book like that. This is the essence, showing the differences from the original BMC. This is the section where the 1-page canvas from Section I did not suffice, hence a number of disparate tools were introduced. They help you identify your personality and career purpose. IMO, it goes bad starting with this section. After knowing about yourself better from Section II, make changes to your canvas and act on it (test it out).